We are excited to offer this 2016 BMW 5 Series. BMW CERTIFIED UNLIMTED TILL 01/2021 ORIGINAL MSRP 69920.00 This BMW includes: COLD WEATHER PACKAGE Heated Rear Seat(s) Heated Steering Wheel Heated Front Seat(s) BLACK, NAPPA LEATHER UPHOLSTERY Leather Seats HARMAN KARDON SURROUND SOUND SYSTEM Premium Sound System DRIVER ASSISTANCE PLUS Lane Departure Warning Blind Spot Monitor LUXURY LINE Tires - Front Performance Aluminum Wheels Woodgrain Interior Trim Tires - Rear Performance PREMIUM PACKAGE HD Radio Hands-Free Liftgate Satellite Radio Power Door Locks Keyless Entry Remote Trunk Release DRIVER ASSISTANCE PACKAGE Rear Parking Aid Back-Up Camera Heads-Up Display *Note - For third party subscriptions or services, please contact the dealer for more information. * Your buying risks are reduced thanks to a CARFAX BuyBack Guarantee. 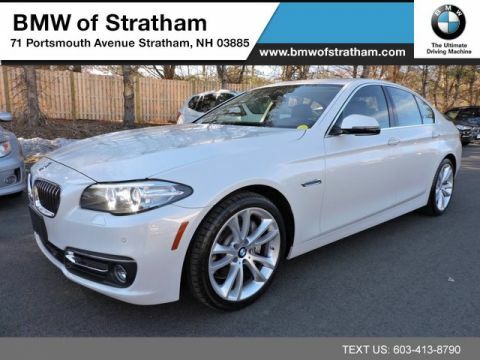 The CARFAX report for this 2016 BMW 5 Series 535i xDrive LUXURY LINE COLD WEATHER DRIVER ASSIST PLUS PREMIUM NAVI HARMAN KARDON STEREO highlights that it's a One-Owner vehicle, and for good reason. A One-Owner vehicle gives you the feel of owning a new vehicle without paying the new car price. Certified Pre-Owned means certified peace of mind. 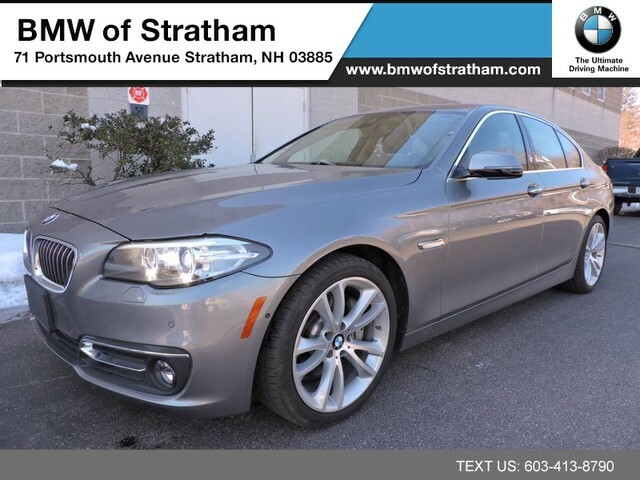 Sophistication & understated luxury comes standard on this BMW 5 Series 535i xDrive LUXURY LINE COLD WEATHER DRIVER ASSIST PLUS PREMIUM NAVI HARMAN KARDON STEREO.  Well-known by many, the 5 Series has become a household name in the realm of quality and prestige. This vehicle has an added performance bonus: AWD. It improves handling on those winding back roads, and gives you added safety and control when driving through wet and snow weather conditions. 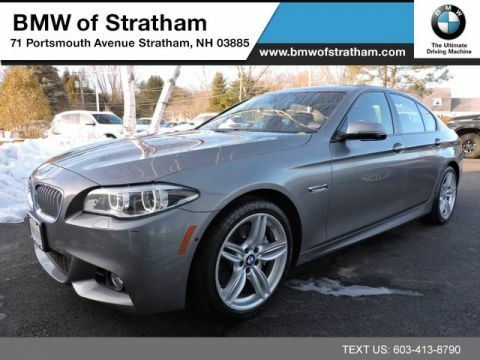 The 5 Series 535i xDrive LUXURY LINE COLD WEATHER DRIVER ASSIST PLUS PREMIUM NAVI HARMAN KARDON STEREO has been lightly driven and there is little to no wear and tear on this vehicle. The care taken on this gently used vehicle is reflective of the 29,833mi put on this BMW. Marked by excellent quality and features with unmistakable refined leather interior that added value and class to the BMW 5 Series Find the quickest driving route in this BMW 5 Series 535i xDrive LUXURY LINE COLD WEATHER DRIVER ASSIST PLUS PREMIUM NAVI HARMAN KARDON STEREO using the installed navigation system. This nav system is one of the easiest to use and will help get you where you need to go quickly! Get more for your money with this well appointed vehicle, including a factory warranty. 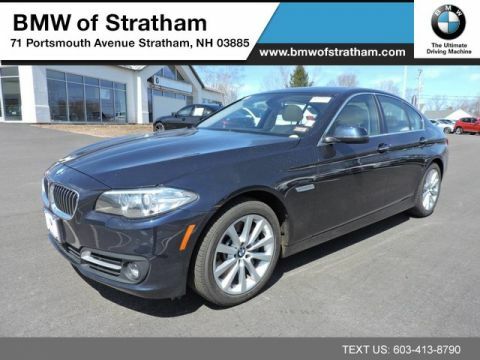 Why go with a basic vehicle when you can have it all in this well-optioned BMW 5 Series? We look forward to seeing you soon! Please call us for more information.